Eating your vegetables has never been so easy. I tried this recipe last night and I must say, it does not disappoint. I served it over rice and even the carnivores in my house were demanding seconds! Sweet and spicy goodness! Spread cauliflower florets in an even layer on a rimmed baking sheet. Drizzle over 1 tablespoon of olive oil and sprinkle with coarse salt and pepper. Roast in the oven for 10 to 15 minutes or until the cauliflower start to caramelize, turning once. In the meantime in a small saucepan combine honey, garlic, onion powder, soy sauce, and Sriracha. Bring to a simmer over low heat stirring constantly. Combine arrowroot (or cornstarch) and water in a small bowl until completely dissolved. 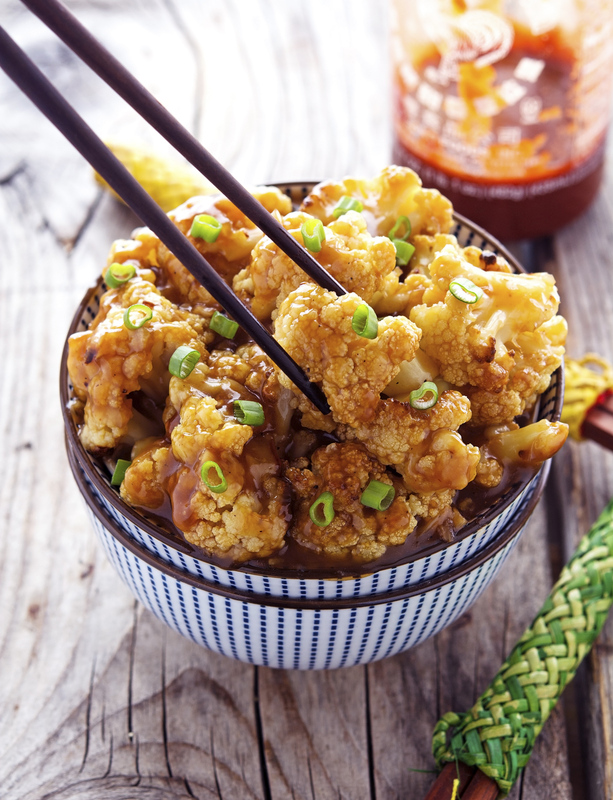 When the cauliflower is done, transfer to a large bowl and pour the sauce over it. 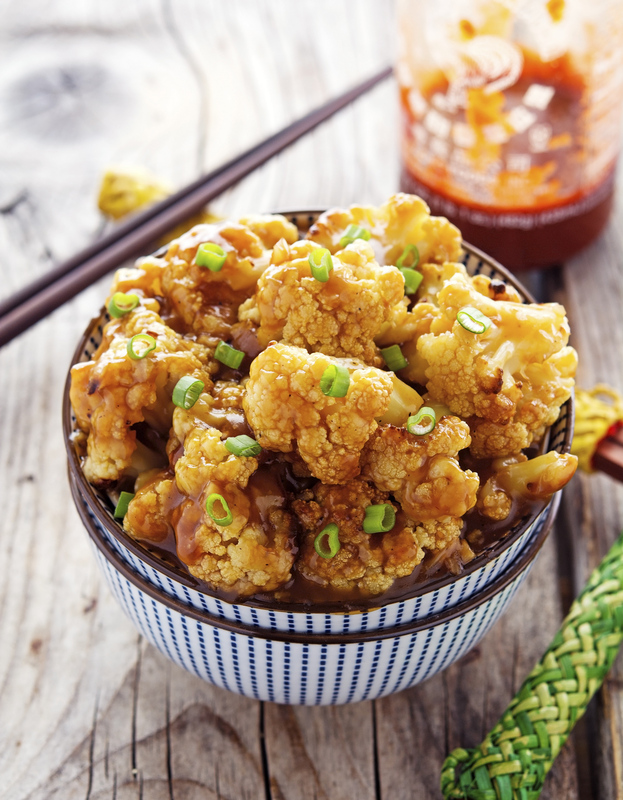 Toss the cauliflower in the sauce to coat. 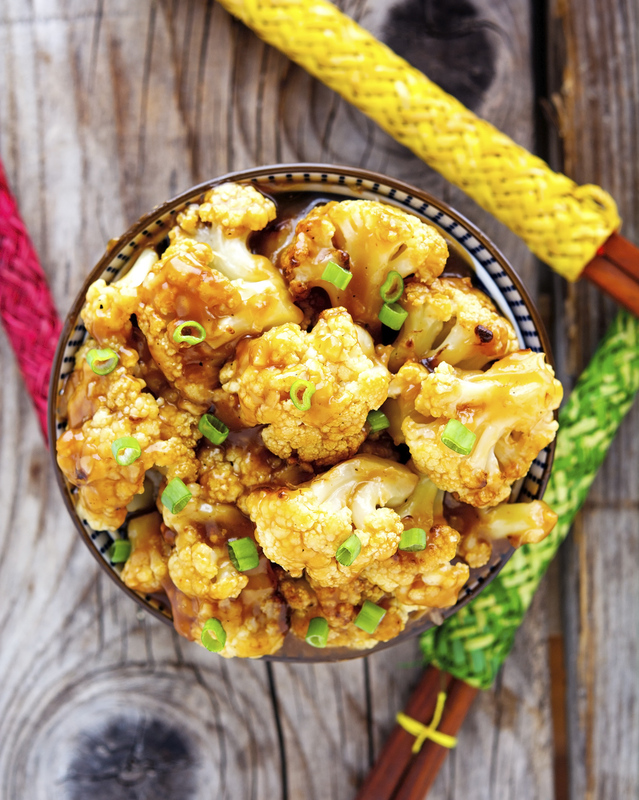 Return to the baking sheet and roast for an additional minute, so that the cauliflower can absorb some of the sauce. I’m definitely going to try this! 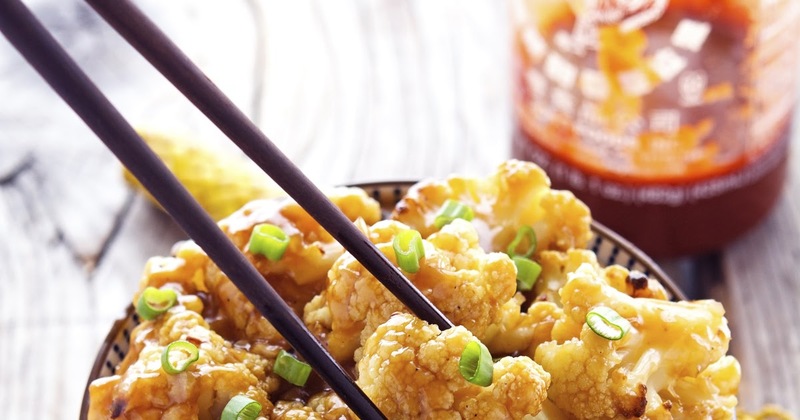 Spicy, Honey, & Garlic – I’m in! So tasty! You’ll love it!